The movable universal luminaire is a kind of lighting product widely used in civil luminaires. Common portable versatile lamps include table lamps, reading and writing table lamps and floor lamps. It is characterized in that the working position of the luminaire is the desktop or the ground, and the luminaire can be conveniently moved along with the power source according to the needs of use. Since the luminaire is in an easily accessible position, the luminaire is easy to touch the outer surface of the luminaire during use, and the luminaire is easily dumped by external force. The power cord of the luminaire is often subjected to external tension, so it can be moved in addition to the general safety requirements. General-purpose luminaires should also have sufficient smoothness and be provided with wire strain relief devices. The outer surface of the luminaire that is easily accessible to humans should not be overheated. The table lamp is the most common type of portable general-purpose lamps. It is also a student's desk (desk decoration renderings), an essential lighting product on the teacher's desk. Due to the age of the people in use, and the use of children, products Safety is especially important. When purchasing, you should first consider the safety and quality of the luminaire, and then consider the performance and appearance factors. 1. Into the regular store, buy regular goods, to formal invoices, do not buy products that are too cheap, buy products that have the promise of 'three guarantees', and purchase lamps with 3C certification mark. 2. Advertising is for reference only. It is very important to check the inspection report. In particular, you should check whether the items such as protection against electric shock, durability test and combustion resistance are qualified in the inspection report. 3. You should see three when you purchase. At first glance, whether the product identification is complete, the identification of regular products is often more standardized, at least the following contents should be identified: trademark and factory name, product model specifications, rated voltage, rated frequency, and rated power. Check that the model number matches the model specification of the inspection report and safety certification certificate, and whether the electrical parameters are correctly identified. Second, look at the lamp power cord for CCC safety certification mark. Third, look at whether the charged body of the lamp is exposed. After the light source is installed in the lamp holder, the finger should not touch the charged metal lamp cap. 4. Select a table lamp with a higher level of protection against electric shock. Class II lamps marked with a ' ' symbol should be purchased as much as possible. 5. When choosing lamps for children, try to avoid buying metal casing lamps with high heat source, such as incandescent lamps or metal casing lamps for tungsten halogen lamps. At the same time, the purchase should also pay attention to the smoothness of the luminaire. The luminaire can be tilted by about 6Â° to see if it is overturned to determine whether the luminaire is stable enough. - The height of the luminaire is â‰¥ 40cm, preferably adjustable. 1. After buying the lamp, don't be busy installing it. You should carefully look at the lamp's mark and read the installation instructions. Install the lamp according to the instructions and use the lamp according to the instructions in the manual. 2. According to the light source parameters of the sign, replace the aging lamp in time, and find that the two ends of the fluorescent tube are red. When the lamp does not illuminate, the lamp should be replaced in time to prevent the ballast from being burnt out and other unsafe phenomena. 3. Pay attention to the instructions in the manual when cleaning and maintenance. Do not disassemble or disassemble other parts of the luminaire except remove the lamp cover cleaning lamp cavity or replace the lamp. If necessary, notify the manufacturer for assistance. After the cleaning and maintenance is completed, the lamp should be installed as it is. 1. 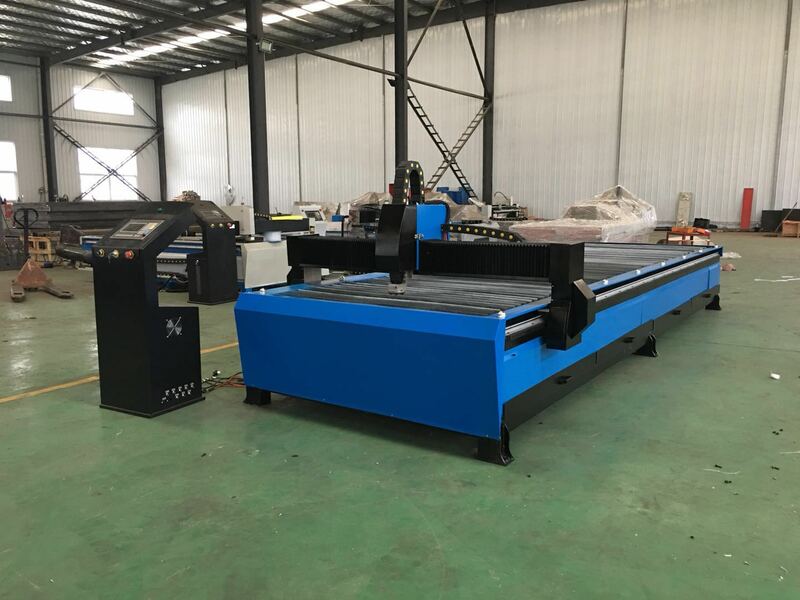 HVAC Duct Plasma Cutting Machine is especially suitable for cutting of medium and thin non-ferrous metal sheets, stainless steel and carbon steel sheets. 2. Hvac Duct Plasma Cutting Machines are widely used in ventilation ducts, air conditioners, kitchens,etc. 3. Plasma Cutting Machine equipped with easy-to-follow air duct special software, the graphic database contains all the required graphics, no need to design, just select the required graphics, input parameter values, and the software automatically manufactures the components. Professional and easy to operate.